It’s Long Term Plan season right across local government, and so for this month’s column I want to take the unusual approach of simply running extracts from KCDC’s Submission to the Greater Wellington Regional Council’s Plan. 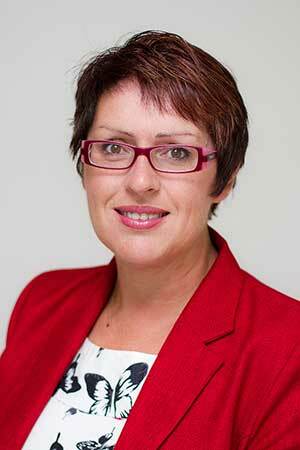 I want to demonstrate what Council has focussed on — namely public transport needs for Otaki. And as usual we will go into Wellington to talk to our submission, but instead of the standard 3 minutes we’ve asked for an hour to fully canvas all the topics highlighted by our council. Regrettably these issues were not adequately addressed in the GWRC proposed Plan, and while it is the job of GWRC elected representatives to ensure the communities they represent are advocated for in their Plan, KCDC readily and appropriately advocates on Kapiti’s behalf. We note with concern, the significant rate increases projected over the next few years from GWRC. Through our own affordability report, we are conscious of the impacts this will have on our community, especially those on low and fixed incomes. We ask GWRC to revisit this increase with a view to reducing it through efficiency gains, and/or reprioritisation. Public Transport has long been a major issue for this Council and community. Transport linkages from beyond the region that support this district are vitally important together with the wider community’s economic wellbeing, prosperity and connectedness. If this service ceases Ōtaki would be the only major town of the region that would not have a public transport connection with Wellington’s CBD. Hence we request that GWRC prioritises better public transport for and through this district. In particular, we request that GWRC includes the Capital Connection in its upcoming tendering round for rail services. We encourage GWRC to adopt an approach consistent with the Horizons Regional Council, and support and grow this service. We reiterate the point made in many previous submissions that the Capital Connection provides the only passenger rail service link for Ōtaki residents. This needs to be recognised by GWRC as an inter-regional service that delivers commuters into Wellington every day. Without an alternative, the ending of the Capital Connection service would force its present clientele to drive through to Wellington or to park at the Waikanae or Paraparaumu train stations, exacerbating existing congestion and parking issues in the Western Corridor. The Kāpiti Coast District Council advocates the exploration of alternative rail passenger transport options to connect Ōtaki to the commuter rail network to avoid this, should the Capital Connection service be ended. ‘Save the Capital Connection’ campaign is supported by this Council and the Ōtaki Community Board, and this Council believes the GWRC needs to address this issue as outlined above. The Ōtaki community is currently weakly served by public transport. There are few services that enable transport-poor residents to connect to other parts of the district and the capital. This makes it particularly difficult for residents who cannot drive, and are dependent on public transport for their wellbeing. Further, many services for the community are provided from the north. Connections in both directions are therefore vital. Following a briefing from GWRC councillor Paul Swain in March last year and a specific invitation to our Council to inform GWRC of our district’s public transport needs in relation to Ōtaki, we formally request the improved public transport solutions (including the option of using diesel trains in the short term) for Ōtaki without delay. We acknowledge that GWRC is running a series of rolling reviews for public transport, and we refer you to our previously made submission to the Regional Land Transport Strategy. The Council has also prepared in conjunction with the Ōtaki Community Board suggestions as to how this service can be improved. This will be submitted to you within the next month as this work is now complete. While this Council is supportive of the concept of integrated ticketing, the cost at $39M is too high for the benefit that will accrue, particularly while the district is still deficient in fundamental public transport as outlined in the sections above. Hence our Council does not support integrated ticketing at this time and with the cost estimated, as we have seen no clear business case, justification or demonstrable benefit to the Kāpiti Community. We strongly request therefore that this funding is instead directed to supporting better services, particularly in the northern sectors of the western corridor (such as electrification between Waikanae and Ōtaki), or into development of further park and ride facilities, or even basic infrastructure such as more bus shelters. To view the full KCDC submission, visit our website.